KUWAIT-- A day after the World Bank bestowed upon His Highness the Amir an award for his efforts on supporting global development and peace, congratulations poured in on Saturday from several Kuwaiti ministers ecstatic over the accolade. The award given to His Highness the Amir Sheikh Sabah Al-Ahmad Al-Jaber Al-Sabah is a result of his unflinching resolve to assist people in need around the world, said Education Minister Hamid Al-Azmi. He spoke of His Highness the Amir's "well-chronicled" humanitarian endeavors, coupled with his diplomatic prowess, which helped catapult Kuwait to global prominence. Kuwait's Health Minister Dr. Basel Al-Sabah congratulated His Highness the Amir on the prestigious award, saying it was a tremendous honor for all Kuwaitis and Arabs. In a statement, he said the award is a token of appreciation for His Highness the Amir's diligent efforts to support development and peace worldwide. 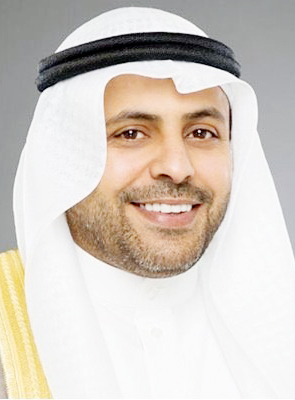 The World Bank accolade is "well-deserved" given the fact that His Highness the Amir has left an indelible mark on the international community by virtue of his dedication to humanitarian causes, said Minister of Commerce and Industry Khaled Al-Roudhan. His Highness the Amir has "set a precedent" on dealing with some of the world's most pressing matters, he added, commending him for his aid of countries wallowing in penury. 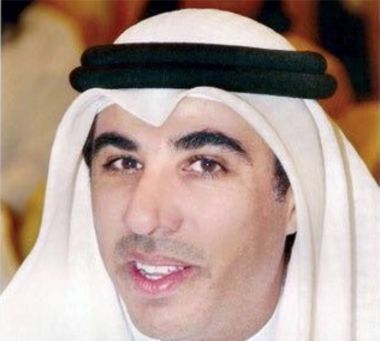 Kuwait's Information Minister Mohammad Al-Jabri hailed His Highness the Amir's "indiscriminate support" for those less fortunate, regardless of race, creed, religion or ethnicity. The minister recalled how the UN feted His Highness the Amir for his altruistic tendencies, ultimately christening him a "Humanitarian Leader." World Bank Chief Executive Officer Kristilina Georgieva announced on Friday an award handed to His Highness the Amir in recognition of his role in supporting global peace and social development. KUWAIT-- Academics have praised His Highness the Amir for his development-related contributions worldwide and efforts on regional and global peace a day after he was handed an unprecedented award by the World Bank. Kuwait University deputy president Dr. Adel Al-Henayan hailed the "astute diplomatic policies" of His Highness the Amir of Kuwait, Sheikh Sabah Al-Ahmad Al-Jaber Al-Sabah, gained throughout a long journey in political office. Kuwait's unlimited humanitarian efforts, under his directions, have "extended far and wide, exceeding the borders of the Arab region," said the medical professor. "These endeavours have been a shining light in the lives of nations and their peoples and reflect the civilized role of His Highness and Kuwait, as a nation," he added. For his part, economics professor at Kuwait University Abbas Al-Mijren said the recognition was "well deserved." He praised His Highness the Amir's initiatives in providing humanitarian assistance to nations afflicted by disaster and conflict. Amongst these initiatives was the founding of the Kuwait Fund in the early sixties, as one of the first state-funded provisional aid providers. This also includes hosting many international conferences aimed at amassing vast donations for these causes. The recognition is the "pride of all Kuwaitis and Arabs," Professor Mansour Al-Fadhli of the College of Business Studies. Kuwait, thanks to his efforts, plays a prominently positive role in global affairs, he said, adding it was "not surprising" for His Highness the Amir to be the award's first-ever recipient.